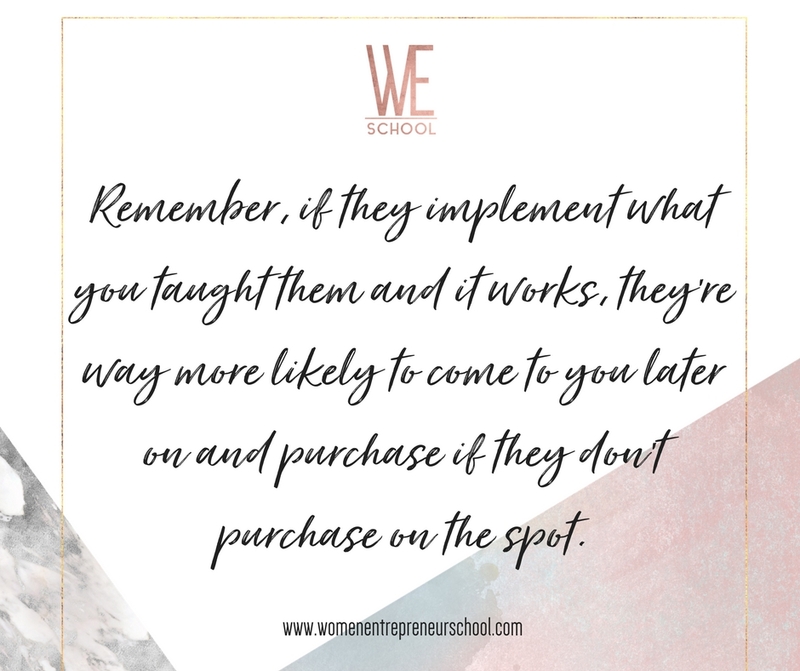 In last week’s article, we talked about how people were mad at Facebook ads and funnels and why you need to rethink your stance on both (hint: At Women Entrepreneur School, we’re pro ads and funnels… as long as you do them correctly). 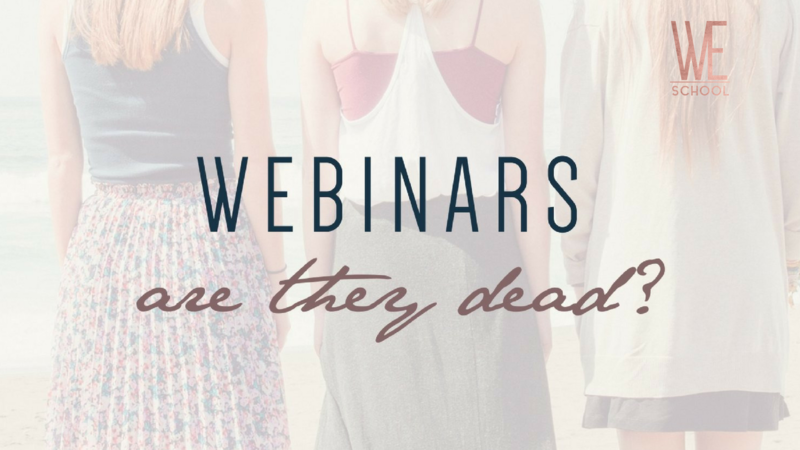 This week, we’re busting another myth: That webinars are dead. You’ve probably seen a lot of ads about one of two things: Attending a webinar, or how webinars are dead so it’s time to do something else. People like to be very polarizing in their ads, which is good – you want to only have ideal clients opting in, but if you’ve been worried about webinas being dead, or if you haven’t seen the best conversions, it’s not because the webinar format is dead. It’s because you’re probably doing them wrong. And people hate webinars now because they’ve watched a few people do them wrong, copied their style, and are now doing it wrong and teaching their clients to do it wrong, too. Now I’m going to tell you about how great my life is and show you amazing pictures of me having fun and how I got there using six steps. Nobody likes to be treated that way, and for good reason – it makes you feel like you’ve wasted your time, and nobody likes having their time wasted. 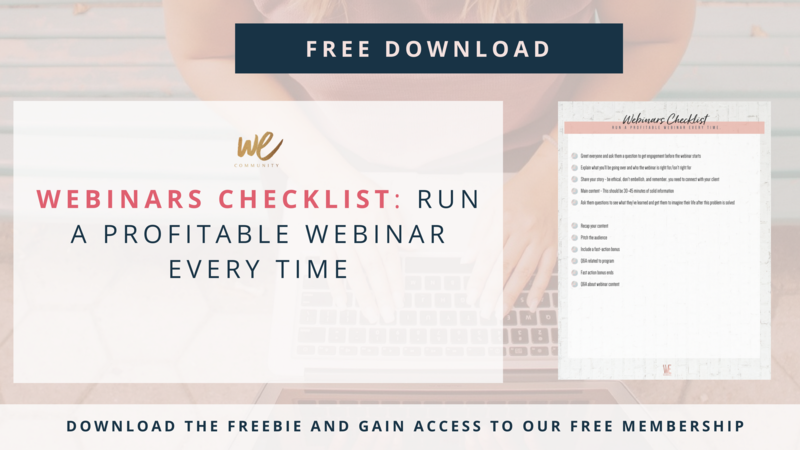 The reason that it’s so easy to make fun of webinars is because so many people do them wrong – they forget that the webinar is about your ideal client. 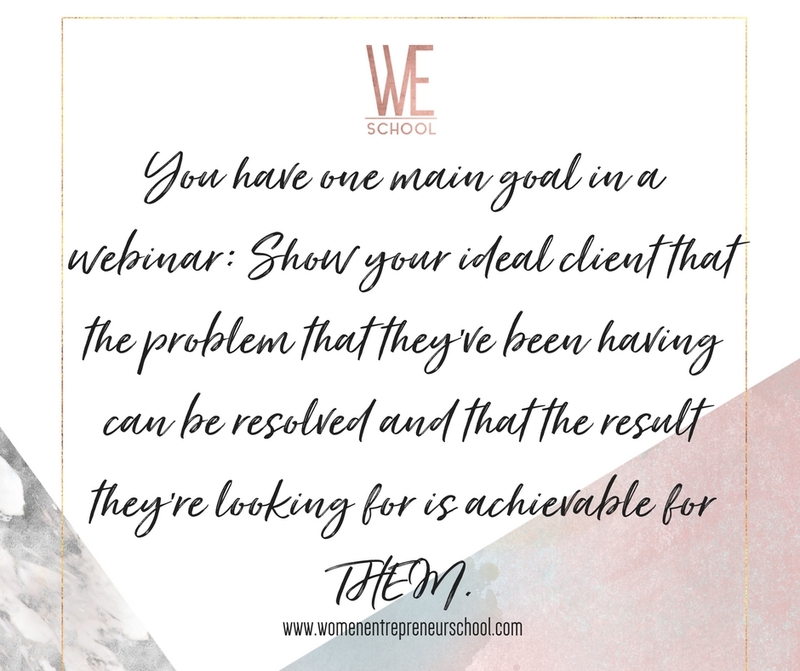 You have one main goal in a webinar: Show your ideal client that the problem that they’ve been having can be resolved and that the result they’re looking for is achievable for THEM. To do this, you need to provide, real, actual value. Your ideal client should be able to take the small bits of information that you’ve given them and get results almost immediately. Of course, you’re not giving them the entire pie and a fork to eat the pie with and a nice glass of water for when they get thirsty. You’re giving them a single slice of pie. It’s good, but it’s not good as the whole pie. HOW TO STRUCTURE YOUR WEBINARS SO THEY ACTUALLY GET RESULTS AND CONVERT. You want to welcome people during this time and get them engaged in the chat box. Ask them where they’re from, what they do, and what they’re hoping to get out of the webinar. 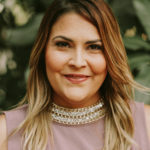 This allows you to get to know where your customer base is tuning in from (important info for future webinars – if a lot of your audience is tuning in from the UK and you’ve scheduled your webinar for 8pm EST, that’s very late for them) and what their problems are. You can also take quick notes or slightly customize examples based on who’s there. This also trains your audience to get used to answering and engaging, which always makes for a better webinar. In the first 10 minutes of the webinar, you should be giving the audience an outline of exactly what they’re going to learn, as well as who the webinar is and isn’t right for. This will prevent people from wasting their time if they’re not the right fit for you, and it’ll keep them engaged if they are the right fit. It’s important that people know who you are and why you’re credible. Include any places you’ve been published, how long you’ve been in business and any relevant experience that makes you credible from your previous working life. Your introduction should be about 10 minutes at the most. You should spend at least 5 minutes on this, but don’t bombard people for 20 minutes about who you are – your ideal client cares about seeing results for themselves, not about your luxury vacations. 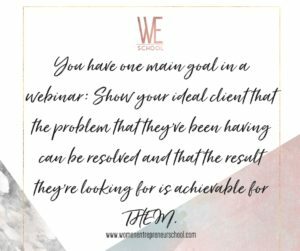 This is the biggest and most important part of your webinar. This is the whole reason why people signed up. They want to get a solution to their problem. Don’t overwhelm your audience with information. 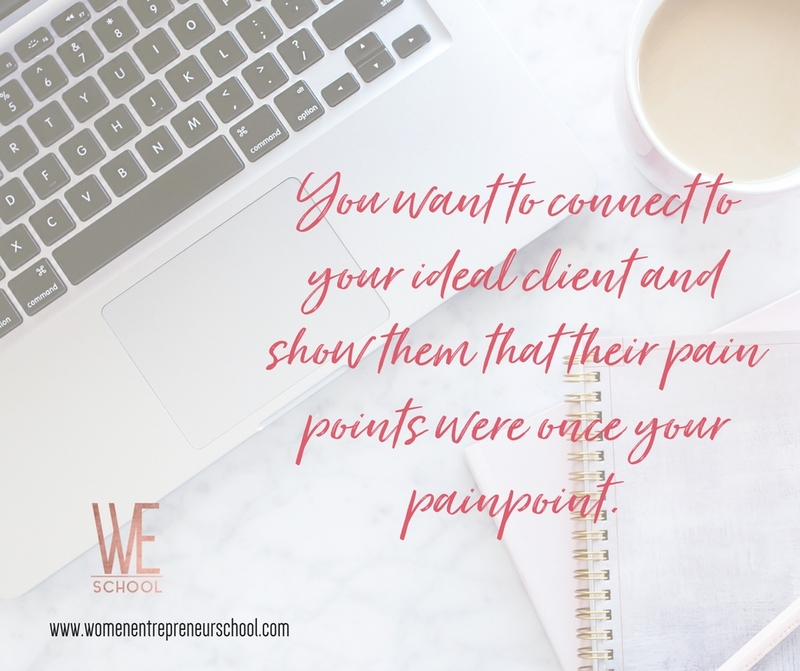 You are better to talk about one specific pain point that they have (ie: not getting enough clients) and provide them with three actionable solutions that have actually worked for you than to show them 30 different things that they won’t actually implement. 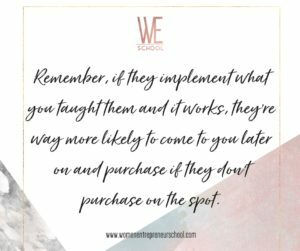 Remember, if they implement what you taught them and it works, they’re way more likely to come to you later on and purchase if they don’t purchase on the spot. Your content should be no less than 25-30 minutes, but don’t go over 40 minutes either. People have a limited attention span. Before heading into your pitch, you want to recap the information that you’ve given them over the last half hour and ask them a series of questions that directly feed off of the content. Which of these steps are you most excited to implement? On a scale of 1-10, tell me in the chat box how empowered you feel to go out and get a new client this month? The reason for these questions is that you want them to answer yes or have a positive feeling before heading into the pitch. It’s also a perfect segue to show them that this is just the tip of the iceberg for you. In the pitch, you want to transition by letting them know that if they take the information they learn, they’ll definitely be farther ahead, but if they want consistent, repeatable results, they should keep paying attention. You can then pitch them. 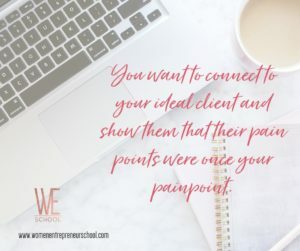 Your pitch should reiterate their pain points first and foremost to remind them of what they’re struggling with right now and then ask them how they would feel if their pain points were solved. People need to be able to ask you questions about the material and the program. If you have a fast action bonus, it’s perfect to start the timer as you answer people’s questions. You can leave the fast-action bonus up for 15 minutes and then remind people that they have 5 minutes and then 2 minutes to purchase. Prioritize program related questions during this period, and then stay on to make sure that everyone else’s questions get answered. And bam! That’s really all that it takes to have a successful, profitable webinar.